Okay, so I told you a little bit about how we decided to go with marble for our countertops, right? Well who knew it would be so hard to pick out stone!?? Not this girl. Apparently, it's not just as easy as walking up to a place, looking through the slabs, and pointing to what you like. 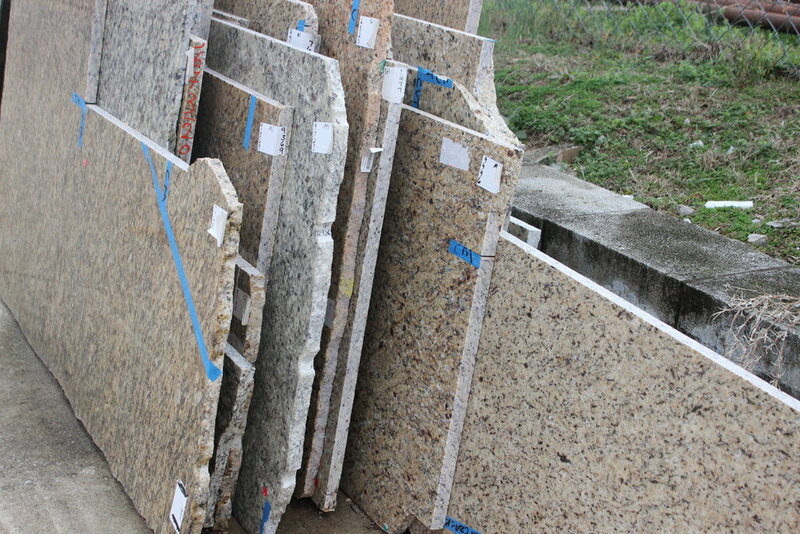 First, you must find a fabricator (the people who cut and size and fit your stone), then you can go pick out your slab. 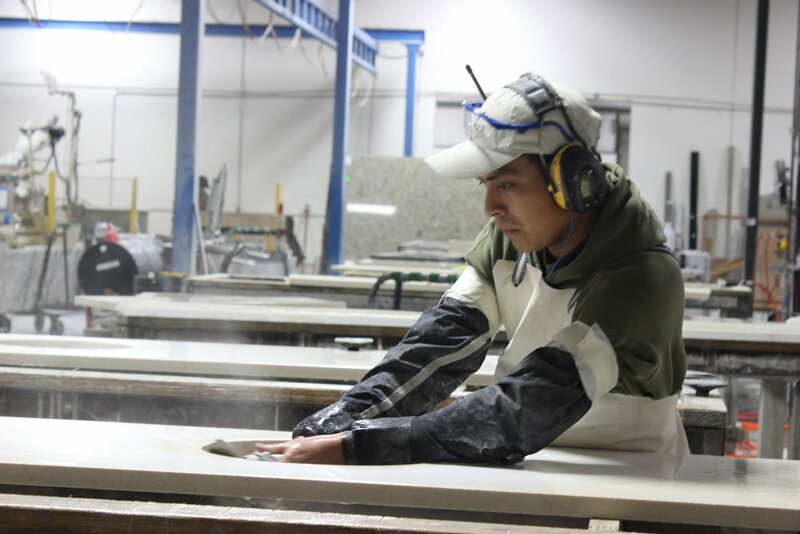 We visited a whole lot of fabricators before settling on the one nearest our home, Stone World. This is at Werthan, another great fabricator in Nashville. And then of course, comes the shopping. Looking through stone isn't like shuffling through clothes on a rack. These puppies are several thousand pounds each! So moving through and choosing your stone can be a long process. Plus, as beautiful as this one is, I wasn't sure I'd be crazy about the patterns and lines in our small space. So, on what we hoped would be our final stop shopping for marble—we finally found our slab at Nashville Granite and Marble. 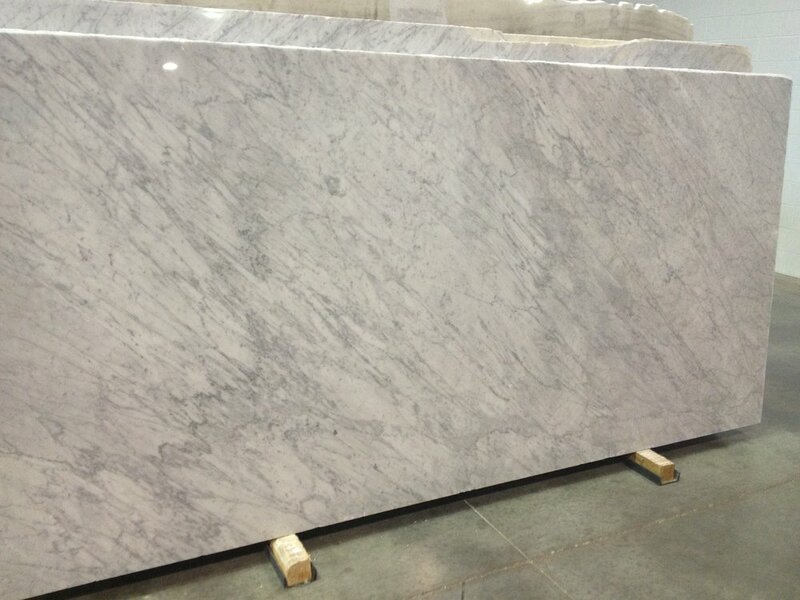 This is a beautiful carrara bianco, and it was already honed!! Yahoo! The next day when I called back, I asked if they remembered me, and the guy said, "Oh yeah, you're the one who made us take a picture of you with the slab?"